We are a unique stone and covering wholesaler with over 28 years of experience building relationships and doing business with top suppliers from around the world, we represent and distribute exclusive brands and manufacturers. This allows us to offer our clients the finest and widest portfolio of covering materials. In addition to our materials, our integrated, tailored covering solutions, will look after all your covering needs – from planning and material selection, rendering and palletization of your materials based on each specific area and detail of your project, to installation. Our promise is to offer our clients the best materials, unique solutions for their projects, and the best personalized service. That’s the PADEXPO Promise! Plywood Express offers customized high-end wood panel product manufacturing using state-of-the- art machinery and the highest quality control standards available in all stages of the production line. Plywood Express is always ahead with the latest and greatest materials. We have the best and most unique selection from all over the world. Our services include lay-up, veneer splicing, blueprints, sketch faces, inlays, UV finish, and much more. We are known for our ability to work within a customer's timeframe to achieve the look you desire. Contact us today! US Lumber Supply is a crown molding importer that offers whole sale prices to South Florida contractors, builders, developers, and homeowners. As a family owned business we value our customers as one of our own. We carry over 28 different profiles of molding products. 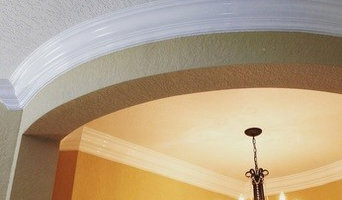 We only import the highest quality moldings and always offer the BEST prices around. We take special orders and provide guidance for all our customers. We carry crown molding, flex molding, baseboard, quarter round, casing, chair rail, pre-painted molding, ceiling molding, door and window molding, wall trim, wall panels and more. We manufacture and install thin brick veneers, stone veneers. 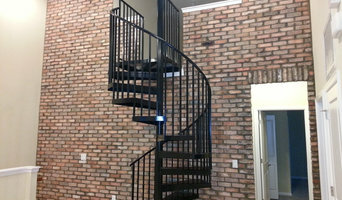 We sell Chicago brick veneers and all type of used bricks. We carry a wide array of cultured stone and natural stone products. Travertine, Marble and Limestone pavers for outdoor wholesale. Natural Stone LLC was founded in 2006, we have built a reputation for quality project management, reliability + personal service. We are at the forefront of the travertine and marble industry as we have unmatched resources from the finest quarries in Turkey. We take it one step further with a select member of our team working directly at the factory to oversee quality travertine and marble is sent to our New Warehouse in Deerfield Beach, Florida. Our team enjoys what we do and is constantly striving for excellence. We work hard to offer our clients first quality products, so our clients believe in us and we continue to work hard for them. We carry a full range of popular types, finishes and sizes with a range of complimentary accessories. We set out with a simple philosophy: to build successful and personal relationships by providing excellent service and top quality materials. *Authorized Andersen Dealer* Welcome to Seaview Building Solutions, a leading supplier in the window and door industry. At Seaview Building Solutions we proudly sell quality, energy efficient windows and doors that meet strict hurricane codes. As a client of Seaview, your project will be handled with personalized care and service. From determining the best product for your geographic needs, to custom designing the style that will best match your taste, our professional staff is here to guide you through the process. At Seaview Building Solutions we want our clients to reap the benefits of the trustworthy vendors we choose to represent. We have chosen each of the companies because of their position as leaders in their markets. Each product fits a unique need allowing us to offer you the correct solution for your project. We work with architects, developers, custom homebuilders, contractors, remodelers, interior designers, and homeowners. Seaview Building Solutions also offers a wide array of building solutions and services to fit your needs from the basic to the more customized solutions. We also offer a full range of green eco-friendly building solutions. We service Palm Beach, Broward, Miami-Dade, and northern Monroe Counties as well as the entire Caribbean. In addition to windows and doors we are a full service building material supplier to our Caribbean clients. Our goal is to provide the best protection available to you for your home. Energy efficient impact windows and doors protect your home from high winds, debris, UV rays, and forced entry. They can also save you up to 30% on your cooling cost by reducing the solar heat gain transferred through your window and door openings. Our knowledgeable sales professionals and installation team handle the entire process for you from the initial measurements and estimate to permitting, delivery, and installation. Call Seaview Building Solutions today, where quality and style exceed your expectations. Translucent Concrete known as Lumistone, allows the light to go through. 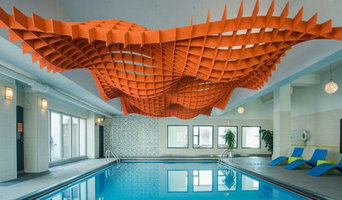 Any shape, any design, artistic, design or even construction. Available now in the US. World Class Designer and Manufacturer of Cabinet Hardware, Bath Hardware, and other related products. We are a family owned business that provide unique tile options from around the world, while delivering the very best in customer service. Our business is located in Coral Gables, FL. In this category you’ll find companies that source and provide everything you need to build your Miami, FL home from the floor up, from timber flooring and synthetic grass to plumbing supplies and door hardware. Some companies will stock all kinds of hardware, while others will have areas of expertise. Raw materials and how they’re applied – including everything from metal roofing and timber panelling, to board-formed concrete and porcelain tiles – can provide infinite design possibilities. If you’re working with a Miami, FL builder, architect or designer, they will likely have favourite building materials they like to work with, as well as favourite suppliers. Ask them for examples of how the material has been used in past projects, and seek out alternatives for comparisons. Find building supplies in Miami, FL on Houzz. Scroll through this page to find companies that source and deliver building supplies in your area. You can browse their portfolio, read reviews and see how other tradesmen and homeowners rate their customer service, expertise and product.